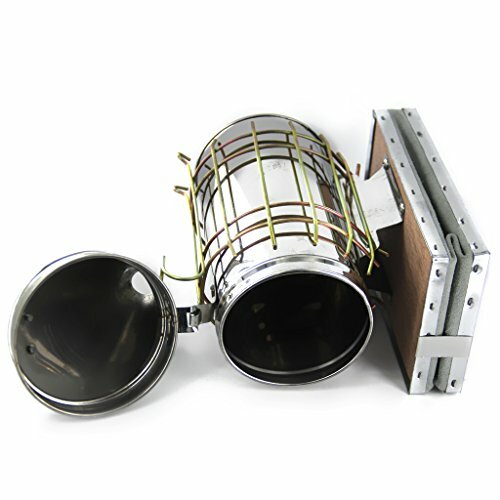 This is a new bee smoker made with stainless steel with a heat shield and cowhide leather bellows. The heat shield protects the user from touching the hot canister. Part of the heat shield has a hook so it can hang on the side of an open hive box or honey super. There is a floor spacer to provide an air pocket at the bottom of the smoker body to ensure good air flow. Heat shield: Protective guard around smoker to prevent burns. The convenient hook allows you to set it aside and working safely.